What will a singing lesson in Stoke-on-Trent with Amadeus Music Academy help a student to achieve? The first singing lesson and the lessons to follow will include aspects such as breathing exercises, scales, sight reading, microphone coaching and more. The tuition is extremely interactive focusing on the student trying out and practicing all the vocal skills mentioned above. A singing lesson in Stoke-On-Trent with Amadeus Music Academy is never taken straight from a text book but specifically tailored to the individual client. We want all our students to feel relaxed and encouraged by the fact they can see tangible results that they are developing new vocal skills that will help them attain their personal goal. No doubt we are a nation that loves to sing! 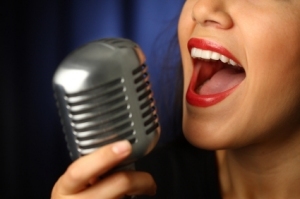 Many are looking for ways to improve their vocal ability whether for pleasure or commercial purposes. We provide superior singing tuition that will help both types of client fulfil their vocal potential. Our singing tuition provides the supportive and constructive advice that will help every client progress as they are taught the methods of how to truly master their own unique and original voice.